Skype has fixed a critical security flaw that put Windows users at risk of being infected by malware. 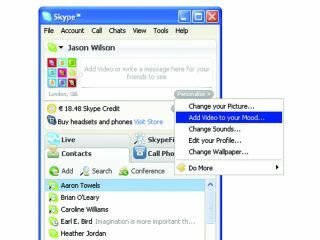 The security hole existed in the latest version of Skype for Windows users, and could have allowed hackers to load and run malicious code on user's computers without their knowledge. The problem was caused by the software handling web addresses in Skype, which is said to be liable when handling short URLs. This apparently opens the Skype software up to a memory violation that allows code to be written to memory, ZDnet reports. Security research firm Secunia rated the flaw as 'highly critical', the second-highest rating. If you're worried about being infected by the Skype security flaw, check out Secunia's Software Inspector, which should determine if your computer is vulnerable. Skype urged all its users to make sure they are running Skype version 3.6, the latest update of the VoIP client.